Due to fire safety concerns and to adhere to the Owners Corporation Rules. 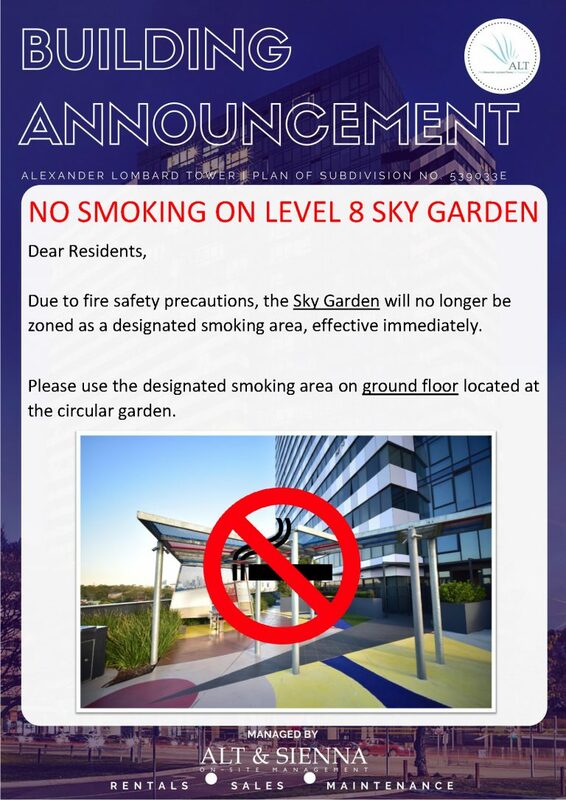 There is to be no smoking on the level 8 Sky Garden. Please use the designated smoking area on the ground floor located at the circular garden.